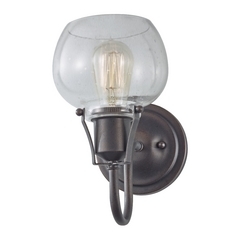 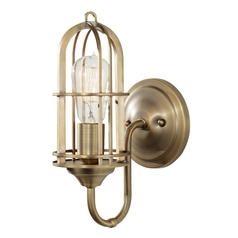 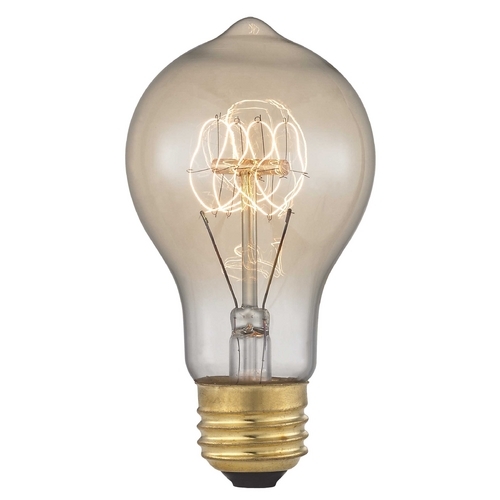 The following are detailed specifications about the Retro Style Mini-Pendant Light with Bulb Cage Shade. 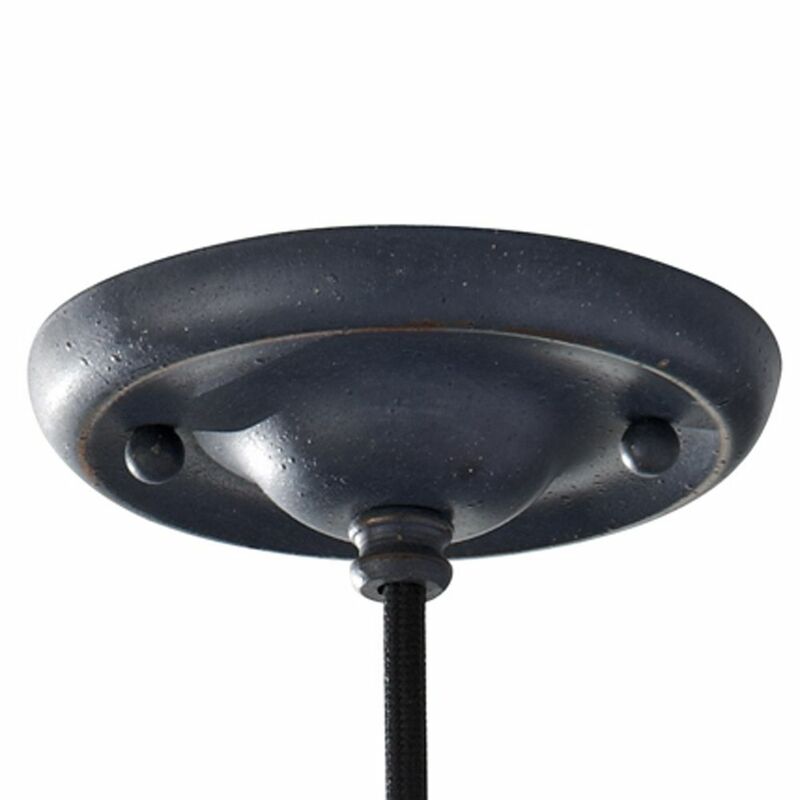 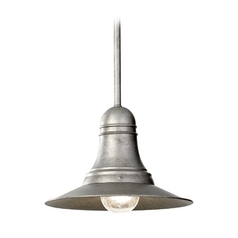 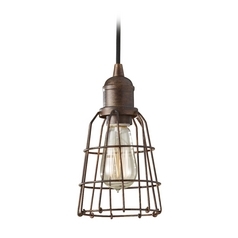 Vintage / retro antique forged iron 1-light mini-pendant light.Takes one 100-watt medium base bulb (not included). 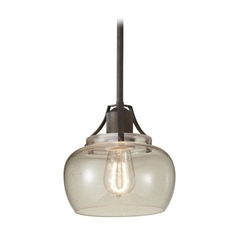 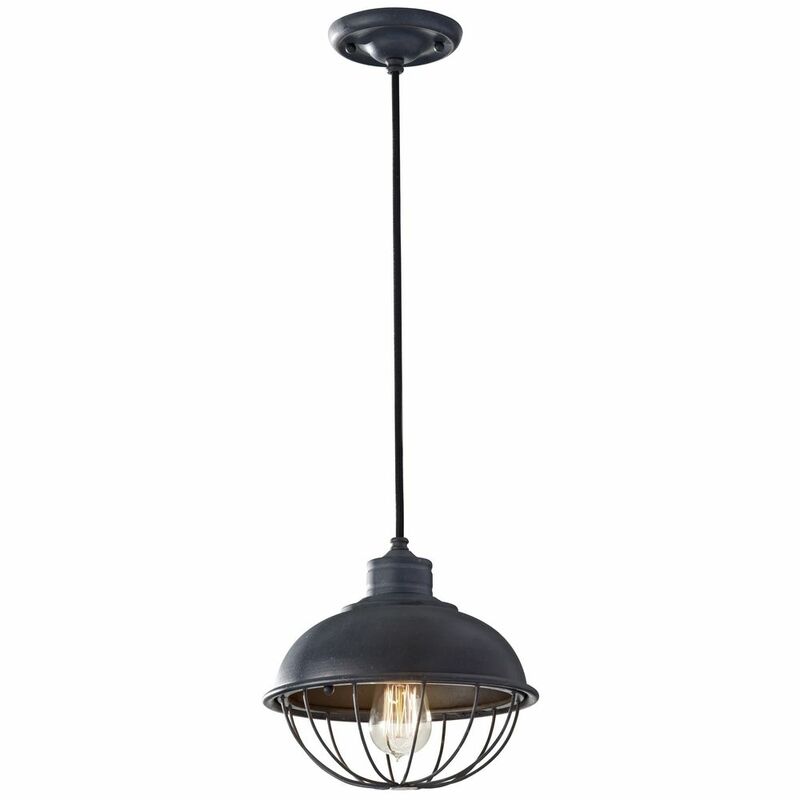 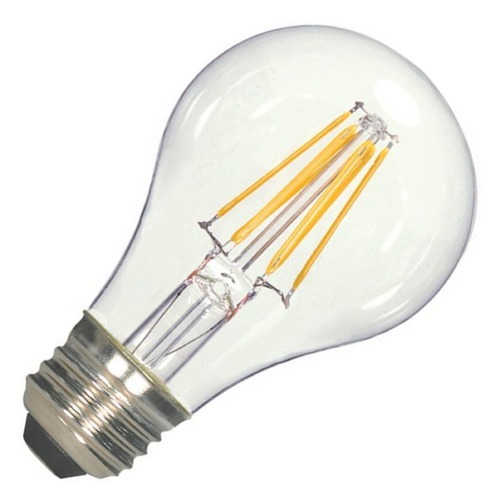 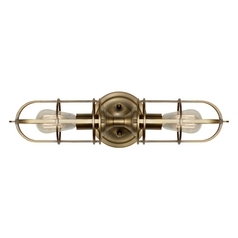 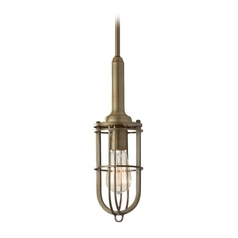 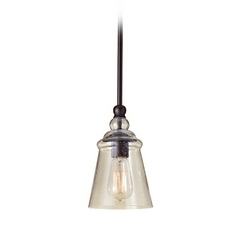 Consider pairing this mini-pendant light with a Edison carbon filament bulb, product 430757 for a full vintage effect. 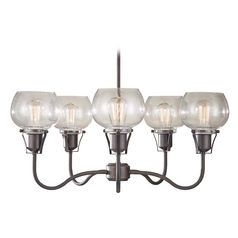 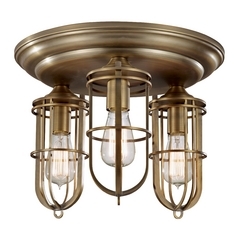 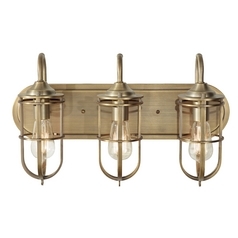 This Retro Style Mini-Pendant Light with Bulb Cage Shade is part of the Urban Renewal Collection from Feiss Lighting. 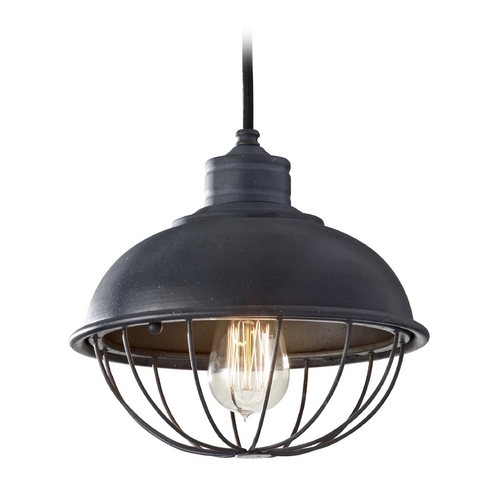 The following items are also part of the Urban Renewal Collection.